Is this the most incompetent administration ever?Perhaps it is just some of that "new flexibility after the election" Obama promised the Russians. 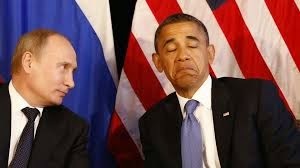 Russian hackers reportedly obtained some of President Obama’s emails when the White House’s unclassified computer system was hacked last year, indicating that the breach was significantly more intrusive than originally thought. Citing officials briefed on the investigation, The New York Times reported Saturday that while the hackers did not appear to have breached more carefully guarded servers that contain Obama’s BlackBerry messages, they did manage to obtain access to email archives of people with whom Obama communicated.